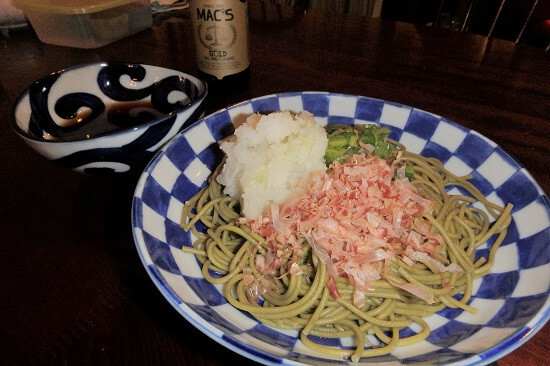 I want to eat Orosi-Soba! Looking for food in the supermarket, My wife was cooked Orosi-Soba. Dry noodle of buckwheat not flavor too much buckwheat. But the texture is enjoyed enough.